Ever wondered if choc chip cookies can be improved? Surely not… Turns out, they can! 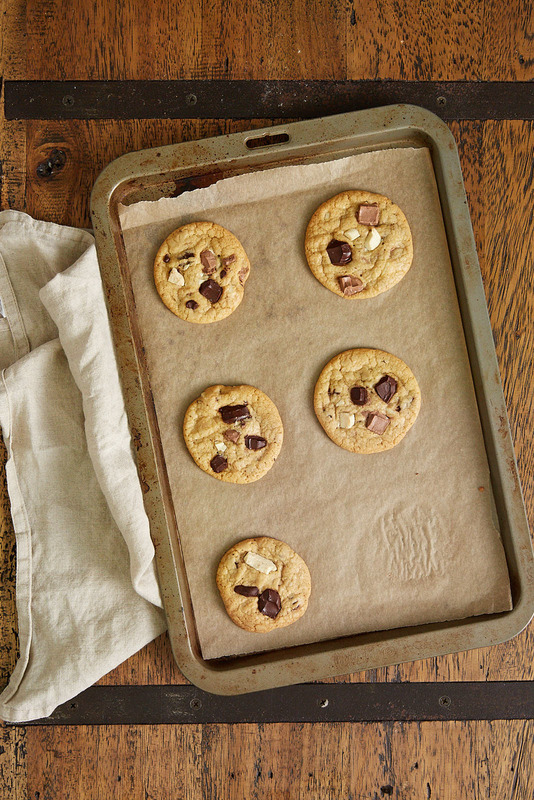 Better Homes and Gardens have the top tips to prove your baking prowess. They&apos;re our favourite go-to bake, especially when we&apos;re craving a sweet treat but haven&apos;t got much time. We have some absolutely delicious cookie recipes on Foodiful, including classic choc chip cookies, fruit & nut choc chip cookies, cranberry & white choc cookies, and our pretty-in-pink choc chip and marshmallow cookies. To soften butter, set aside at room temp for about 30 minutes or until soft to touch and no longer solid. Firmly packed brown sugar should hold the shape of the measuring cup when turned out. Make sure it’s level before turning out. Before measuring flour, stir in the canister to aerate. Lightly spoon flour into a dry measuring cup or spoon. Level with a knife to avoid adding too much. Before measuring sticky ingredients, such as golden syrup, lightly coat the measuring cup or spoon with non-stick cooking oil spray. Baking is a precise business, so measure out all ingredients before mixing to save time and help avoid mistakes. Stir flour into batter a little at a time. It keeps the flour from jumping out of the bowl and prevents pockets of flour in the finished creation. To keep biscuits fresh, for up to 1 week, arrange cooled biscuits in an airtight container in single layers separated by baking paper. To store for up to 3 months, cool and arrange as above with baking paper in either freezer bags or containers, and freeze. To serve, thaw out of container for 15 minutes. Instead of chocolate pieces, try caramel chunks or candy-coated choccies. To minimise mess, put biscuits on a wire rack over a sheet of baking paper to catch drips of melted choc – it works for icing, too. Neat, huh? It&apos;s time to get baking!